With the inevitable shorter days coming with the changing seasons, you’ll be depending more on your headlights. That means they need to be working properly; so it’s time to focus on headlight maintenance. You may find you need to clean or replace your headlights if they aren’t working optimally to ensure you can see the road at all times while driving at night. Once Daylight Savings ends, you’ll probably find yourself driving to and from work in the twilight. It’s at this point your dependence on your headlights hit a high. Not only do headlights allow you to navigate in the dark, but they also ensure that other drivers see you. While many of the latest models have automatic lights that sense when they need to be on, that doesn’t mean you shouldn’t still maintain and check them. Here’s how you can check your headlight operation. Get to a place that is closed in like a garage or parking deck. Look for a reflection or other indicator of proper exterior illumination. It’s a good time to check your turn signals, too. This check will allow you to determine if any lights need to be replaced if there’s no light or need to be cleaned if they are too faint. Driving conditions in the fall and winter are different than warmer months, especially if you live in an area with lots of snow and ice. This grime accumulates on your car’s exterior, necessitating the need to clean your headlights more regularly. Add this to your regular checklist of pre-winter maintenance. Properly running headlights are also key to safety on the road. There’s the ability for you to see more clearly as you are driving, including spotting pedestrians. Your lights are also beacons to other cars behind you, in front of you, or passing you going the other way. If your lights aren’t working correctly, your risk for an accident could increase. Headlight maintenance could be the difference between a normal drive home and a collision. Car Headlight Performance Levels: What’s Right for You? As a driver, it’s important to know that there are a variety of choices to suit your car’s needs. For example, there are headlights that deliver greater brightness for road visibility or whiter light to assist with contrast, helping drivers identify objects on the road or beside it. 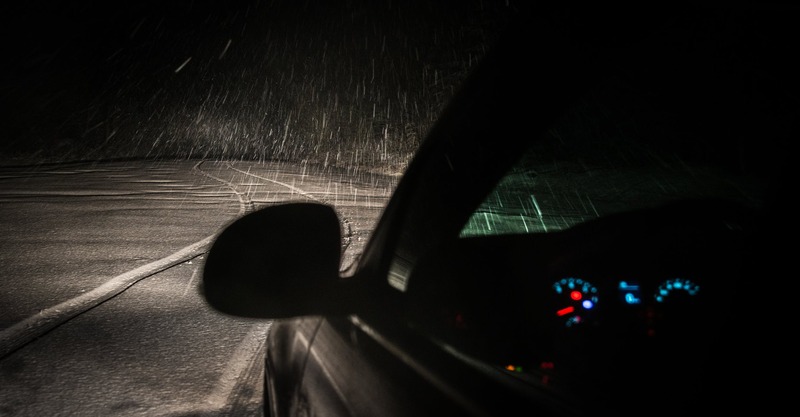 If you choose to replace your car’s headlights, review all your options and consider what you need most as a night driver. A burned-out headlight is a safety hazard—it could also land you a ticket from law enforcement. With only one headlight, you’ll have half the visibility you need. If you aren’t sure the last time your headlights were replaced, or if you have never had them replaced, then go ahead and take the opportunity to do so during your pre-winter check-up. Ready to Replace Your Headlights? For more information on maintaining safety for your headlights, ask an auto technician professional for tips and tricks to keep them at their brightest. For the automotive professional, Mighty offers a Headlight Restoration Kit. To learn more about this kit contact your local Mighty distributor or click here to learn more about Mighty Auto Parts products and services.